Governor Bruce Rauner addresses at Seaway Credit Union's "Building on a Legacy." Governor Bruce Rauner was in Chicago Thursday re-opening what used to be one of the largest African American financial institutions in the Midwest. 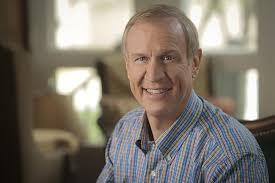 Rauner reinvented the credit union to bring more jobs to the South side of Chicago. Rauner answered a q and a with reporters at seaway saying that Illinois is doing better in unemployment.